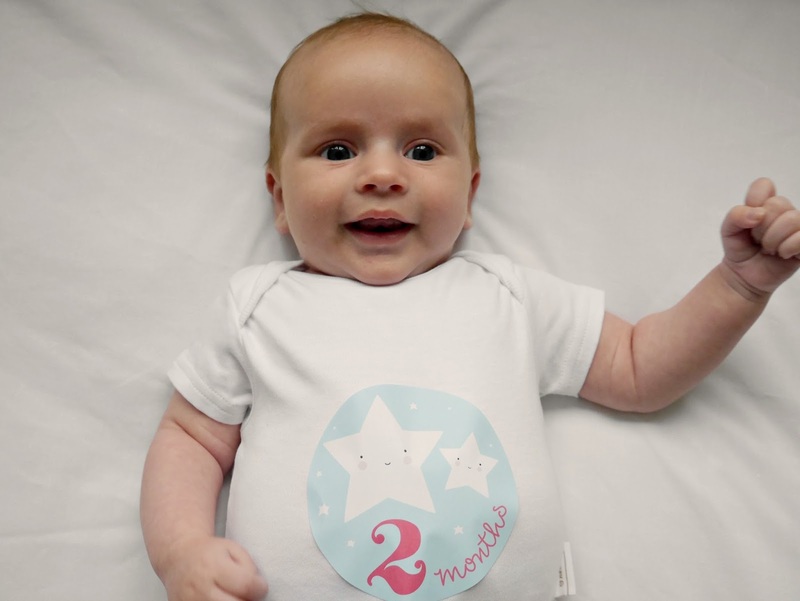 Dear Lucas: You Are Two Months Old! It has somehow been two whole months since you were born. How is that possible? Time is speeding by and I’m wanting it to slow down and yet enjoying seeing you grow and develop all at the same time. It’s been remarkable just how much you’ve changed in this past month. I know I’m biased but I think you are so handsome (Daddy claims that his genes!). You have such lovely big eyes, which have begun transitioning to a hazel colour in the centre of your eye but they still change into a deep blue at the edges. The dark hair you were born with has started to fall out now which means you are looking more and more fair haired each day, you have little tufts of blond hair growing at the side of your temples and I suspect you will be a blondie like your sister when your hair grows back. My favourite feature of yours at the moment though are your smiles. 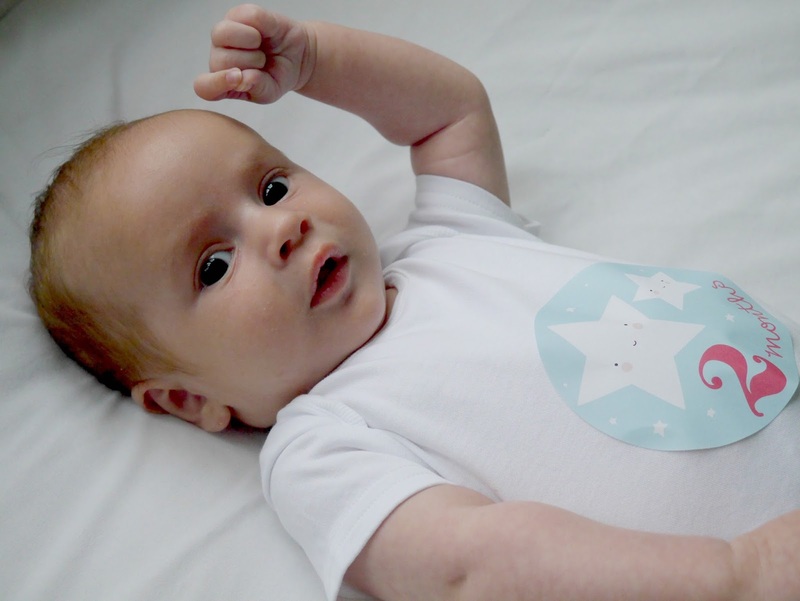 You seem to have so many different ones; a little one sided smile; a big gummy smile which spreads across your whole face; a cheeky smile; and you even do a little giggle as you clench your fists and wriggle your body. I still get the most smiles, you are a real Mummy’s boy now, but you will flash a smile at anybody who is giving you attention. It’s not all smiles though baby boy and despite being a lovely, happy baby you can be quite impatient at times (that is definitely a Daddy gene). You seem to know what you want but don’t like to give us very long to figure it out before you start to really cry. And when you cry you do this horrible thing where you hold your breath and it makes both Daddy and I panic a little, especially when we’re driving along in the car! You’ve also had a few unsettled days, we think down to your gums, whilst we don’t think any teeth will be making an appearance soon you have definitely had some discomfort there nuzzling your cheeks into our arms and dribbling a lot! You will watch us all now, enjoying the crazy entertainment that your big sister provides and following Daddy and I around the room with your eyes. You are quite happy sat in your bouncing chair if there are people around even if they aren’t particularly interacting with you. Although you are never short of people wanting to cuddle or play with you. You’re still loving your milk, feeding every 3-4 hours and you now weigh 14lbs 14oz. You are sat on the 91st percentile for weight and length which means you are taller and heavier than 91% of all other babies your age. I had a look in your sisters red book and she weighed this much at 16 weeks old! You aren’t a chunky baby though just very long and this week I have had to start putting you in 3-6 months clothes, particularly baby grows as your feet looked so squished and uncomfortable. You have got much better at winding yourself over the past month and as a result of that and deciding to give you warm bottles you are much more content after a feed and we are no longer needing to give you infacol to help your tummy. A big change that happened this month was that you are now sleeping in your cot in your own room and you seem to be much happier in there. You share a bedroom with your sister so we’ve started doing a little bedtime routine with you about 6:30 pm where we’ll give you a bath or some quiet time and then zip you into your sleeping bag and give you a feed just before 7pm so that you’re fast asleep before your sister goes to bed. You’ll generally do a 5-8 hour stretch then you’ll wake for a bottle and go back to sleep till 6 or 7 am. We’re still lying you on your tummy and you are definitely more settled that way. This week you had your 8 week immunisations. I used to make Daddy take your sister to have them done but the clinic times didn’t align with Daddy’s days off so I had to take you. You had three injections, one in one leg and two in the other. You screamed…a lot! It was horrible. But you were quickly settled thanks to a cuddle, calpol and milk. Brave boy. I will draw this letter to a close now as you’re due to wake for a feed any moment and as I mentioned earlier you won’t wait for long! Thank you for being all we could ever wish for. You can read Lucas’ letter at one month old and compare his monthly photos here – he’s already changed so much!